Creating software for the Leap Motion Controller presents a unique challenge: how do you develop for 3D interactive technology that the world has never seen before? In this week’s newsletter, we look at a series of posts that showcase the latest innovations in app design. We also have details about the Linux SDK update, the story of NASA’s Leap Motion demo at GDC, and some unbelievable opportunities for developer collaboration. 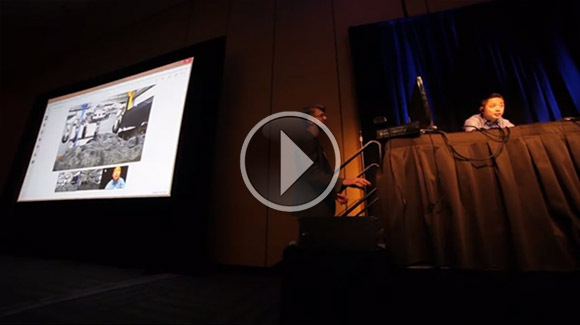 You’ll also want to check out the Unity UI elements and sample code recently shared by theLIFT team. With new, thought-provoking posts on building complete application experiences and orientations and tutorials, Leap Motion is sparking new conversations about how to design incredible, intuitive apps. Here are some of the highlights. a. Make a Proper Entrance – Set the stage and introduce users to the app experience, with splash screens, content animations, or environmental cues. b. Orient Appropriately – In addition to making your software easy to use and understand, be sure to provide clear instructions regarding controls. c. Put Users in Control – Provide all necessary menus, settings, and controls in order to let users be the masters of their own experience. d. Exit Gracefully – Don’t force anyone to stay longer than they’d like. Ensure that users have a quick and seamless way to always pause, go back, or exit your application. 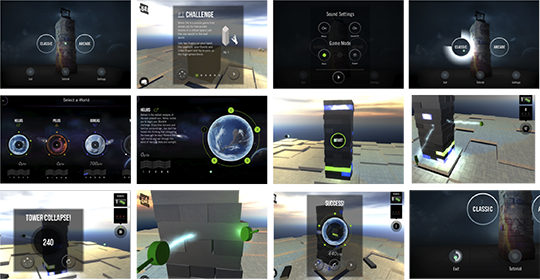 Above: theLIFT’s Block 54 is a stunning example of a complete application experience: splash screens, a basic tutorial, multiple worlds, stage-setting copy, and even different difficulty settings. Click on the picture for a high-res image that explains different aspects of the game design. a. Interaction ‘Keys’ – Discrete screens (shown either before starting an experience or accessible via a ‘help’ or ‘info’ menu) that outline all of the basic interactions and controls used in an app. b. Walk-Through Tutorials – A series of screens, directions or interactive tasks that lead new users through each different part of your app. c. In-App Cues / Hints – Giving hints or cues to a user while they are interacting with your software can be an elegant way to subtly direct behavior. d. Controls As Demos – An experiential approach to teaching interactions by requiring users to perform certain tasks in menu selections or basic app control. Above: Disney Interactive’s Wreck It Ralph: Sugar Rush provides contextual graphics paired with instructions for a seamless experience. The game uses a wonderful starting mechanism that teaches players racing controls as a way to start. Instead of an automatic countdown timer, users have to “assume the position,” and in so doing initiate the racing gameplay. With these posts, we hope to start a series of engaging discussions and build a library of examples and innovations in app design. 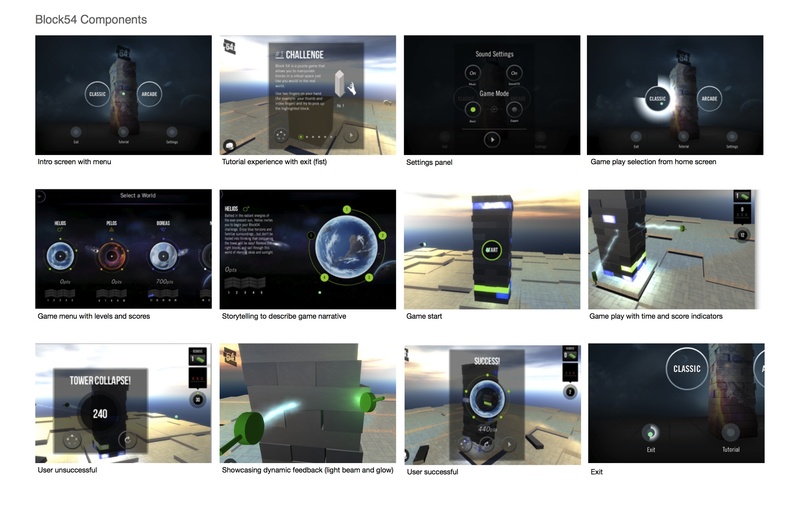 You can share thoughts, screenshots, videos, and even example code as we build a new understanding of app design – one that fully exploits the potential of the Leap Motion Controller. Join the conversation today. We’re working hard to bring greater stability and functionality to our Linux SDK, and we welcome your feedback and suggestions on the SDK releases forum. NASA wants to change how you think about exploring the universe, and it begins with natural user interfaces. In a surprise demonstration at the Game Developers Conference in San Francisco on Wednesday, NASA scientists Jeff Norris and Victor Luo used the Leap Motion Controller to remotely control a six-legged, one-ton ATHLETE rover located at the Jet Propulsion Lab in Pasadena. The demonstration was part of a larger conversation that began with NASA’s recent efforts to reach new audiences with gaming. You can read more about the demo, including some insights into the future of human space exploration, in our news post. Brandon and theLIFT team have generously posted Unity UI elements and sample code to share with the community, including tweezers control and a timer button. Developers are welcome to use these elements and samples in any of your projects. TimThompson has rewritten his musical experiment MIDI Fingers in Python for easier distribution and modification, posting the source code on GitHub for everyone to see. The app is simple and flexible, with easily customizable output. 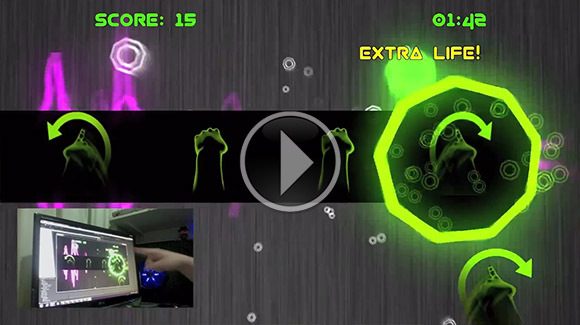 If you haven’t seen it already, you can also check out a demo video of MIDI Fingers from last December – it’s a thing of beauty. Yanko Oliveira is asking for developers from the community to test out his new game Octorhythm – a mashup of rock-paper-scissors, Simon Says, and classic rhythm game. 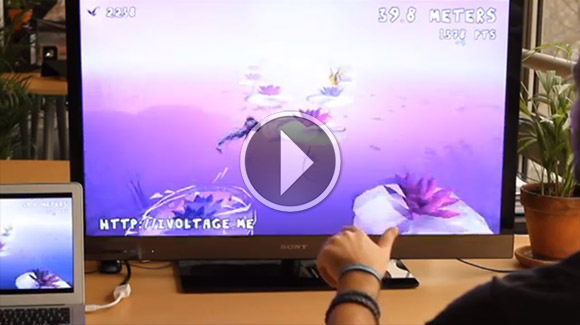 In other news, iVoltage has ported their gorgeous 3D platformer Froggle for the Leap Motion Controller. The game includes 120 missions, in which players can hop across lily pads, fly on a bird, ride a beetle, or control a jetpack. 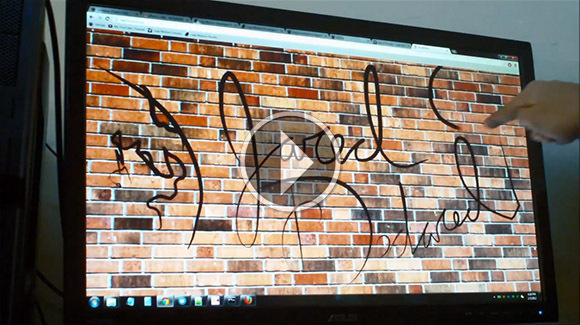 If you’ve never scrawled graffiti on your computer with your finger, now is a great time to start. Jared Deckard’s browser-based InkMotion is better than ever, with recent updates including Undo and Redo buttons. Thursday, April 4 @ 5 – 9 p.m. Leap Motion will be speaking alongside Google Chrome and Instagram team members at a huge student and startup mixer. About 150 students from Howest University of West-Flanders (Belgium) will be in attendance. You can register for the event at the HTML5 website. Tuesday, April 9 @ 7:15 – 10:10 p.m.
François Laroche will be presenting the Leap Motion Controller and API at a meeting of Paris JUG. Other Leap Motion developers are welcome to attend; please RSVP.